Jason Kempin/AMA2013/Getty Images for DCPChilli is feeling the wrath of Beyonce’s fans as the Bey Hive is stinging the TLC member on Twitter for apparently dissing The Queen Bey. As reported by Bossip, when Chilli agreed with a tweet saying that “Bey, B, queen B, or any variation or form of the word Beyonce” should be forbidden in 2014, the response was quick and nasty. A barrage of messages included attacks about her 16 year-old son Tron and questions about her finances. 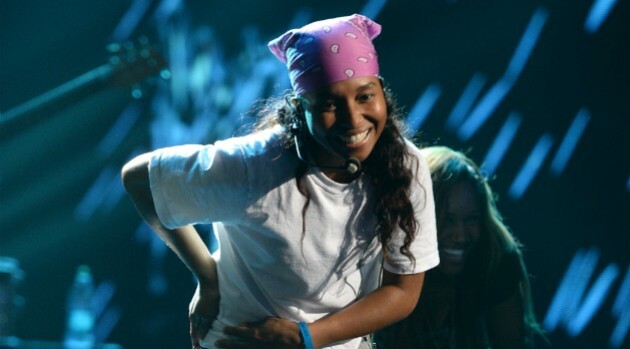 Chilli responded that she was not criticizing Beyonce. The tweets in question were later deleted but one Twitter user captured Chilli’s response: “Guys calm down…no one is dissing beyonce I luv her…we’re only talking about sayings..that’s it. Geeesh” She later deleted the tweet.